What importance does it have in terms of this article? Well, it’s better to experience it, rather than explain it. So go ahead, follow a company on Twitter and get back to this article. Did you automatically get a message along these lines? Now, do you think that there is one man, specifically assigned with the job of typing this monotonous message out, time and time again, as and when the company gets a new follower? Of course not. The clue lies in the word itself. Automated Direct Messages. Digital marketers are in no way short of options when it comes to deciding upon a tool, through which one can send an automated direct message. You might think that Hootsuite, allows you to do this, but surprisingly it doesn’t, mainly because of spam concerns. Social media marketing has its benefits, no doubt. But there is one thing that a lot of marketers choose to overlook in the name of convenience, Personalization. Personalization is important in digital marketing as a whole, it doesn’t matter if it’s e-mail marketing or social media marketing. Now that’s not entirely possible when dealing with automated messages and that’s understandable. But instead of going with one standard direct message, if a company choose to craft three or four different direct messages, catering to the same action, the probability of your company’s messages being branded as a ‘robot message’ is much lesser. It’s true. Not all tools let you do this. But thank the heavens, because Crowdfire does. Don’t worry, if you are looking to keep it simple, Crowdfire supports that, too! When compared to all the other tools in this article, perhaps this is the least popular one. Automatic direct messages may be one of the main things it has to offer but it’s not all that it has to offer. It gives access to information like your recent followers, unfollowers, fans and so on and so forth. That’s more than what you are asking for, so why complain? 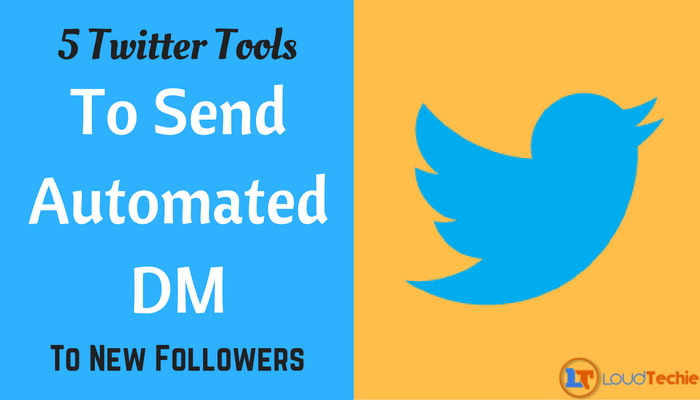 Sending automated direct messages to new followers is not the only way the automated direct message function works. You can use such messages to craft a reply to whenever your company’s name has been tagged somewhere or mentioned. Sometimes simplicity steals the show. TweetManager is just such a tool, that’s not too flashy, completely free (no terms and conditions) and really easy to use. Word on the street is that Hootsuite is the best social media management tool. There are quite a few tools out there, available that can compete toe-toe with Hootsuite. 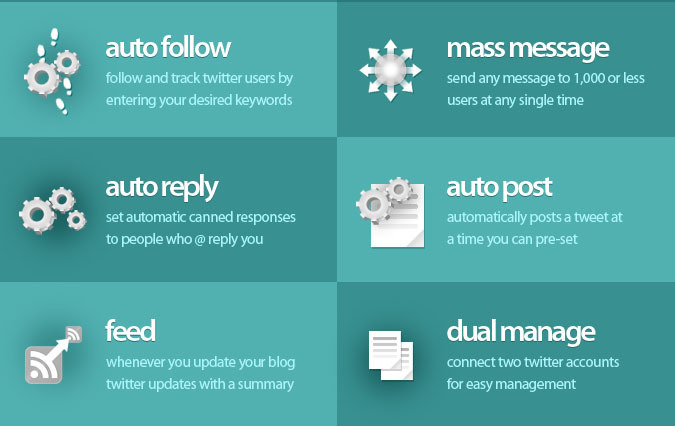 SocialOomph is just one, which offers the automated direct messaging feature, unlike Hootsuite. Plus one for SocialOomph. Like SocialOomph, it has a lot to offer automated direct messages, a friend checked, mobile friendly version. It has a lot of things going on for it. Therefore, it’s no surprise that Unfollowspy is not only a decent tool for direct messages but as a whole, it’s a very well balanced and useful tool to have. When you go on the Internet, you will come across a lot of articles that say that Welcome direct messages are equivalent to spam. Well, that may or may not be true.Every company has their own customer base and every company treats their customers differently. Every company has their own customer base and every company treats their customers differently. Automatic direct messages may work for some, may not work for some. The best way to find out, however, is to try it! If you find this article interesting or helpful do share it with your friends and on your social networks. Also if you have any tools in mind which you think should be on this list do let us know about it via the comment section below.